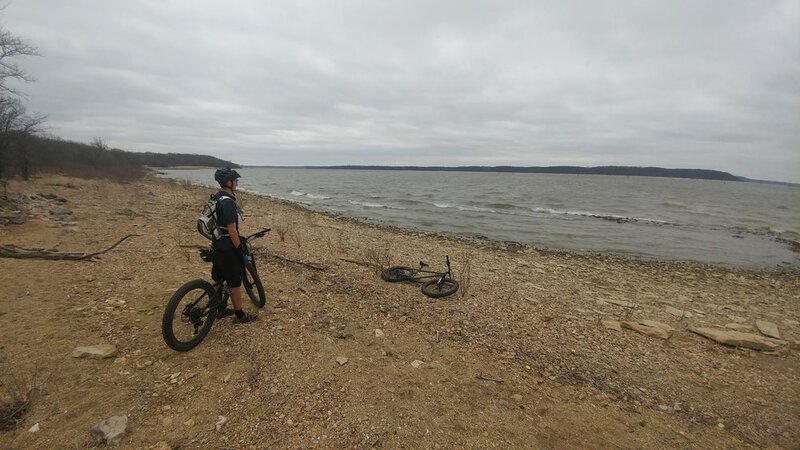 Clinton lake is a two faced trail. With the white trail full of punchy climbs and rock to wear you down and the blue trail consisting of mostly smooth flow. This is a "go-to" trail to introduce new people to mountain biking. Most of the trail is fast and flowing. The trail has many fun dips and some optional obstacles to challenge you as your confidence grows. There is a very short section of rocks at about the halfway point that you can walk if you're not ready for the challenge yet. There is also the sugar bowl section that is deep sand to challenge your handling skills and even access to play on the Kaw river sandbars when the water level is down. Welcome to rock heaven this is the place to work on your technical climbing around every corner you will find some more rock connected by ribbens of flowy dirt.